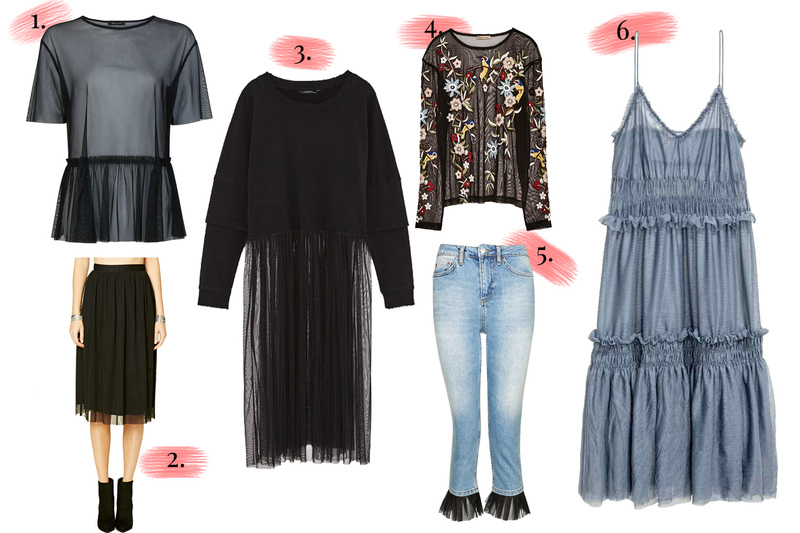 You can never have enough tulle in your wardrobe this season. When saw that this was going to be trend, I have to say I thought it will not be for me because I imagined it to be too girly and fairyesque. However, it can be quite edgy too. Prada and Simone Roche's white dresses are quite feminine both in their cut and in their use of white lace together with the tulle. 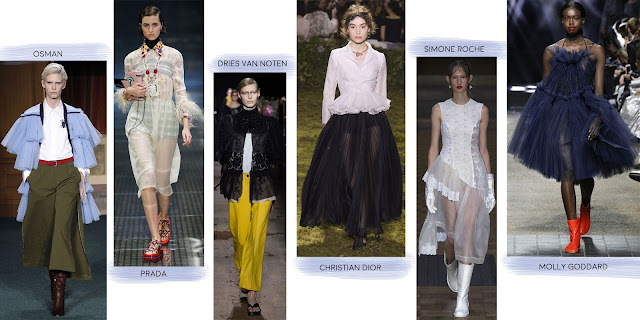 Osman keeps the ruffle trend on but using tulle fabric instead. Despite it's dusty blue colour, this piece looks less feminine. Black tulle always looks edgy. Christian Dior's black skirt and Dries Van Noten's shirt both have that edge especially since both are given a Victorian stance. Tulle can be certainly taken to the other extreme, as Molly Goddard did, with extreme layering of the fabric producing what can only be described as a fluffy garment.